A Canadian warship has made a second significant drug bust on its second patrol this month, seizing more than three tonnes of hashish off the coast of Oman. On Monday sailors aboard HMCS Regina spotted a suspicious fishing vessel in an area of the Arabian Sea known colloquially as the "hash highway." "On this particular day we had some intelligence that we might need to go closer to the Yemeni coast," the ship's commander Jake French told CTV News from HMCS Regina Tuesday. "We took off at high speed and we saw numerous vessels in the area. We saw one that matched the description of something that might be a little bit more interesting." The Regina tried to hail the stateless, unregistered fishing boat, but the vessel didn’t respond, French said. 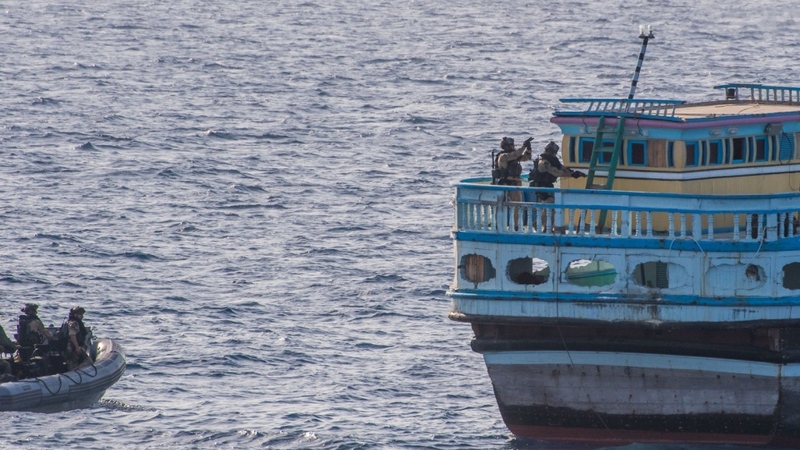 The Canadian vessel deployed its dedicated ship-boarding unit, the Naval Tactical Operations Group (NTOG), which uncovered 150 bags containing 3,019 kilograms of hash. "It was actually very apparent to us right away there was illegal contraband – hashish – onboard," French said. "Once we were onboard they were actually relatively compliant." The drugs were loaded aboard the Regina and later destroyed. "This really is a counter-terrorism mission," French said. "It is about making sure that we disrupt the networks where these narcotics are funding terrorists and these terrorists would do harm to Canada, as well as other countries. We're doing our part to make sure those terrorists don’t get the money." The so-called hash highway is a drug-trafficking route primarily linking Afghanistan and Eastern Africa. 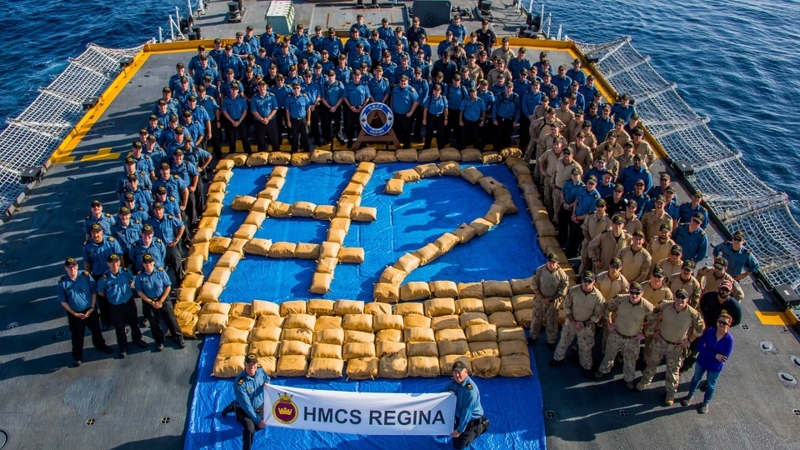 On April 6, HMCS Regina seized more than two and half tonnes of hash from a similar vessel in the region. 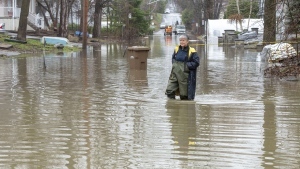 "Where the Regina is right now is right smack in the middle of the hash highway, " Maj. Mark Gough, senior spokesperson for Canada's Maritime Forces, told CTV News on Tuesday. 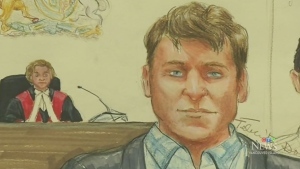 Gough said the Navy does not specify which criminal or terrorist groups are being targeted, but that disrupting the drug trade is key to de-funding them. "Transiting through the Indian Ocean is really just the means to get the drugs to Africa and then forward them on to markets in Europe and, in some cases, to North America," Gough said. Slowing the hash highway is a major focus of the multinational Combined Task Force 150 coalition patrolling Middle Eastern and East African waters. Canada handed over command of CTF 150 to Pakistan on April 11, four months since taking the reins from Saudi Arabia late last year. The Regina and is due back in Esquimalt in August.